Midnight Oil in Montreal or Quebec City? Inform me about the next events for Midnight Oil. Enroll yourself to our priority waiting list for Midnight Oil to be alerted when new tickets are available. Filling this form doesn't engage you to any purchase. Midnight Oil is coming back to Montreal on August 23rd, 2017. The show will take place at the Wilfrid-Pelletier Hall of La Place des Arts. 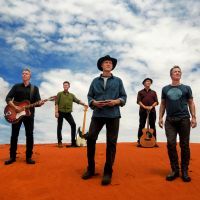 Midnight Oil had a tremendously successful run in the late 80's and early 90's with hits such as Beds Are Burning, The Dead Heart and Blue Sky Mine. The Australian band sold over 15 million records worldwide ! Canadian songwriter Matthew Good will be the opening act. What a night !